Motti Yogev comes in first, followed by Davidi Ben Zion and Rabbi Eli Ben Dahan. Steering committee to choose woman for third spot. The Jewish Home Central Committee on Monday evening chose the party's list for the 21st Knesset. Due to the fact that no woman was voted into the third spot on the list, the steering committee will choose a woman for the third spot, a move that will push Ben Zion to fourth place and Rabbi Ben Dahan to the fifth spot. Rabbi Peretz spoke before the results were announced for the first time after being elected to lead Jewish Home in the elections to the 21st Knesset. "I entered the cockpit modestly, strapped on the seat belt and soon we all take off. All religious Zionism is taking off. We'll fly together and the sky is the limit. I call on all members of religious Zionism - we have a home, we're going back home. We're all one family. There are different shades and opinions, but we have one home. It's a stronghold and fortress. The future of the entire right depends on this home and it depends only on us,” he said. "We'll turn the ideals into a way of life. This is the banner of religious Zionism. Religious Zionism says 'Here I am' in everything. Society, the economy, and the army. This is our way. When we're called, we come. I say to all the people of Israel - Here I am." 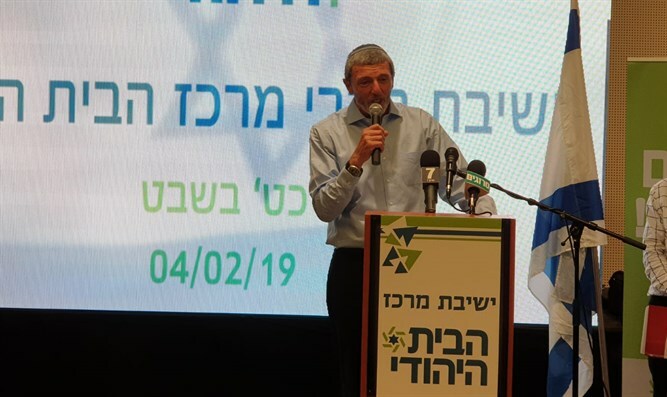 On the possibility of a joint run with the National Union, Peretz said, "I'm in favor of unification, I say to Betzalel's friends - we'll go together, but there's only one Jewish Home."